If you are a prospective foreign exchange student who wants to travel abroad for a year of study, why not select a program near a beach? 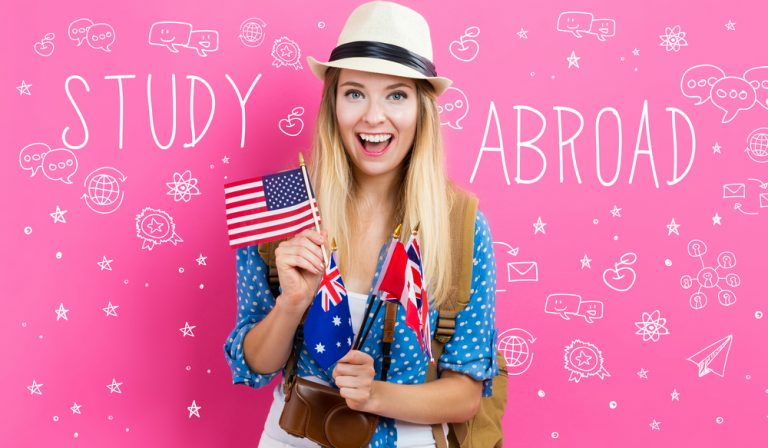 Of course, you’ll need to attend your scheduled classes and take part in all the other required activities connected to your academic travel. But during the off hours, wouldn’t it be wonderful to have the option of spending some time at the beach? Here are eight of the better-known international destinations where a foreign exchange student can enjoy every weekend at the beach, weather permitting. While most people seek out Paris as their destination for international study in France, Nice is the best-kept secret in the world of foreign exchange coursework. Offering some of the world’s most beautiful beach access year-round, you have the advantage of studying at one of several universities in the city and spending your free time on the warmest, cleanest, and most festive sands in the entire nation. You can learn Spanish in a U.S. classroom or spend a year in one of the gorgeous cities in Spain, only a few minutes away are some of the most scenic beaches in Southern Europe. Grenada’s universities are world famous, offering programs in management, language, and religious studies. You can also take all your courses in English if you prefer, or challenge yourself and choose one or two classes taught in Spanish. Students who have spent a year in Grenada report that the city is one of the friendliest on earth, and the locals are extremely supportive of foreign exchange students. It’s a long, long way from the U.S. to South Africa, and many students don’t even have the country on their “radar” as a place to spend a year abroad. However, Cape Town is a wonderful destination for those who want to spend their academic year abroad in an English-speaking nation that has some of the globe’s most awesome beaches. Situated, as it is, on the southernmost point of the African continent, Cape Town has for decades been a travel destination for people who want to spend time on the sunny, warm sands of Southern Africa. Costa Rica is already internationally famous for its beaches, but what many people don’t know is that it has some of the best foreign exchange programs in the world. Whether you want to study Spanish, science, business, or architecture, there’s no better place to have the luxury of top-notch international beaches nearby. For foreign exchange students who want to see where all those postcards of breathtaking beaches come from, Thessaloniki is the place to go. With at least a half-dozen respected academic programs in the city, students can have their choice of major fields of study. At the same time, the region is one of the most famous on the continent for scenic, warm beaches. Sydney is perhaps the top destination for foreign exchange students. One reason is the city’s thriving cultural life, wonderful people, and incredible beaches. With the exception of New York, Los Angeles, and London, Sydney is said to be the most popular choice for year-abroad students. You’ll have your choice among more than 20 local beaches, and others are just a short drive away. Australia is one of the world’s most attractive continents for all sorts of reasons, their beaches being at the top of the list. No “beach study” list would be complete without the inclusion of Bali, Indonesia’s jewel. Perhaps no other place on earth is renowned for its beautiful scenery, on land and sea, as is Indonesia. Not only is the local culture thriving and welcoming to all travelers, but foreign exchange students who travel to Bali for coursework always come home with glowing reports about the year. Whether you choose to study the local language or to take all your courses in English, Bali is an ideal location to learn about another culture and spend relaxing weekends at the beach. Make sure the program you choose offers coursework that interests you and fits into your major field of study. There are dozens of international academic programs that include the option to visit a beach regularly, so don’t feel limited by our brief listing above. Being able to relax near the calming ocean waters, and enjoy sports like scuba diving, swimming, surfing, and boating will only enhance your overall experience as a foreign exchange student. Academic travel need not be all about books and tests. There’s fun to be had, and you have a right to seek it out! There are plenty of books, DVDs, audio programs and online lessons available for anyone wanting to learn German, but there is no real substitute for actually immersing yourself in the language. One of the best ways to do that is to date someone who speaks the language, or if that isn’t an option, to stay with a host family. It is true that German, with its logical order of words, and little assimilation of foreign words, is one of the easiest languages to learn, but it will be easier still if you are living and working in the country. Think about it – by staying with a German host family, you are forced to speak German just to get by. Whether you are trying to decipher a restaurant menu, asking for directions, or making sense of the local television news, learning the language is so much easier if you are surrounded by people speaking it constantly. And not only speaking it, but speaking it fluently, pronouncing words correctly, using slang and colloquialisms, and using real everyday phrases – not like the phrases that you might find in an English/German phrasebook. Having to speak the language just to get by and to make yourself understood is one of the best ways there is of becoming fluent – or at least proficient – in another language. There is a world of difference between simply repeating ‘Can you tell me the way to the railway station?’ in German, and actually being in a German town and asking that same question. More than one study has indicated that the most effective way to learn a foreign language is to surround yourself with people who speak that language – or better still to go and live in the country for a few months. Of course, you can simply visit Germany and spend a couple of weeks in the country, and there is no doubt that you would pick up something of the language. However, staying with a host family gives you far more opportunity to listen, to practice and to really learn the language, rather than simply a few key phrases here and there. Even watching the television or sitting around the dinner table chatting can help you to brush up your German, something that reading a book or listening to a recording just can’t do. Many people find that they become firm and lifelong friends with their host family, and that can be one of the most rewarding parts of the experience. And staying with a German host family is about so much more than simply learning the language. It’s also about meeting new people, perhaps even making lifelong friends, experiencing a new culture and traditions, and having the opportunity for German travel. Staying with a family in a foreign country means that just about every experience is exciting and challenging, whether it’s ordering a beer in the bar, mailing a letter in the post office, or attending a sporting event. Germany is a large country, and one of your biggest challenges may be deciding where in the country you want to stay with a host family. Berlin is one of Europe’s most exciting and cosmopolitan cities, famous for its nightlife, museums, and reminders of the Cold War. Hamburg, Frankfurt, and Dusseldorf are all large cities, offering all the cultural options that you might expect, while Munich is considered by many to be Germany’s most charming large city. And Germany has no shortage of towns that look as if they belong in a fairly tale, complete with castles, half-timbered houses, and narrow, cobbled streets, including Lubeck, Heidelberg, and Rothenberg. And if you do go to stay with a host family to learn German, exploring the rest of the country is easy, thanks to the excellent transport infrastructure. Like most other large European cities, German towns and cities have comprehensive bus, tram and subway networks and the German rail system can speed you to the furthest reaches of the country in just a few hours. Staying with a host family in Germany also means you are well placed to explore the best of Europe, including France, the Alps, Italy and the Czech Republic. If you are struggling to master the German language, staying with a host family can not only improve your German, but can also provide you with the adventure of a lifetime. Contact hostfamily.com to find out more and to take the first step towards finding the family that is perfect for you. Being a host family is one of the most satisfying and rewarding things you can do in life. And of course, the experience is just as exciting for the foreign exchange student who is sharing your home and your life for the next few months, or perhaps longer. However, homesickness is one of the most common problems faced by many students; think about the first time you left home, whether to go to college, travel or work overseas or perhaps join the military. Those feelings can be just as real for a foreign student. If you are a foreign exchange student preparing for your first trip away from home, it’s important to understand that being homesick is a normal part of the process. Over time, the feelings really will pass, and it’s important to remain positive and focused. Remember, this is only a temporary situation. And we all know just how important it can be to acknowledge and talk about our feelings, rather than keep them bottled up inside – talk to your host family and tell them how you feel. It isn’t anything to be ashamed about. Most feelings of homesickness will diminish after a few days or a few weeks, as you adjust to your new surroundings, become more comfortable with your host family and of course, are occupied with work for much of the day. Keeping yourself busy is one of the most effective remedies there is if you are missing home, and although you may not believe it at first, the busier you are, the less time you have to even think about home. Of course, you are with your host family to work, but even when you aren’t working, being active, interacting with others and finding ways to pass the time can all help. There are plenty of opportunities to find something that you enjoy and will keep you busy, including a local sports groups, joining a gym or fitness center, and outings to the theater or cinema. A temporary membership at the local library or YMCA can be a wonderful way to not only pass the time, but to make new friends too, and many places such as schools, hospitals, and churches are in desperate need of volunteers for a few hours a week. Of course, most students need some time to simply relax and do nothing, but putting yourself out there and keeping busy really is an effective antidote to homesickness. Bringing some touches of home into your new environment is also a wonderful way to fight being homesick. Technology has made it easier than ever to connect with home, and you can get a taste of home by finding radio stations and TV programs from your home country. Shopping for the ingredients for a meal you might cook at home, and then preparing it and sharing it with the host family is also something you can do to fight those feelings of being homesick. It’s also easy to video chat with loved ones back home, although be careful of spending too much time chatting with friends and family back home, which can actually make you miss home even more. Remember that as a student you aren’t alone; just about everyone gets homesick to some extent, and there may be other students in the area who you can talk to, perhaps even someone from the same country. As a host family, part of your responsibility is to make sure your foreign exchange student feels safe and welcome. It isn’t too difficult to recognize the signs of homesickness, although many students may be ashamed or reluctant to admit that they are missing home. Encouraging your student to acknowledge their feelings is important, and as we all know, simply talking about what’s bothering us can go a long way to making the situation better. Your student needs their alone time, but if you sense they are homesick, make an effort to include them in family activities, helping to prepare a meal or cookout, taking them to a school or sporting event. The hosting experience is exciting for both the exchange student and the host family, although it can have its challenges. Being away from home for the first time is something that we all face sooner or later, although like many of life’s experiences it really isn’t that bad! Acknowledging the feelings, keeping busy, remaining focused and maintaining those reminders of home can all help to minimize homesickness.